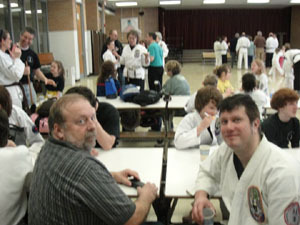 The Collamer-Jones, Gillam Grant, Kodak and FKA Students took part in our annual Interdojo Tournament held on March 17, 2012. 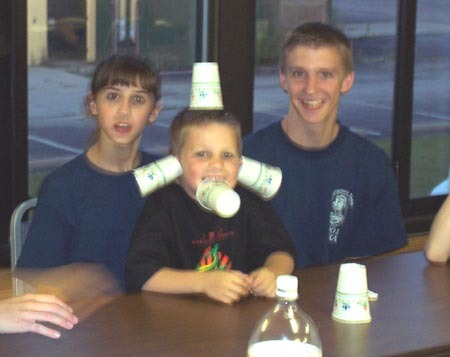 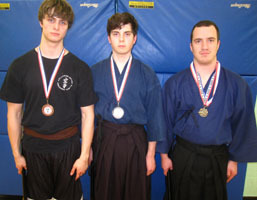 (pictures below). 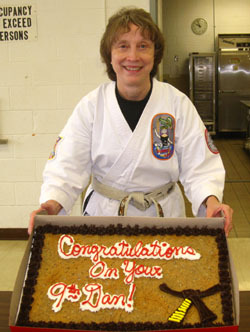 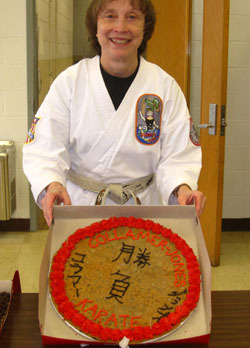 The Collamer-Jones Tournament Team members thanked Team Manager Sensei Cynthia Smith with a gift and cake after The tournament. 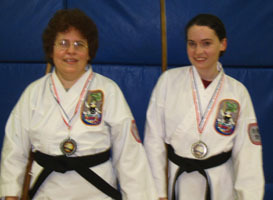 (pictures below). 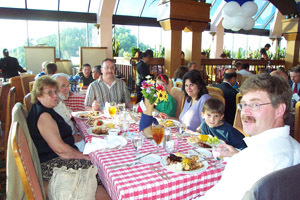 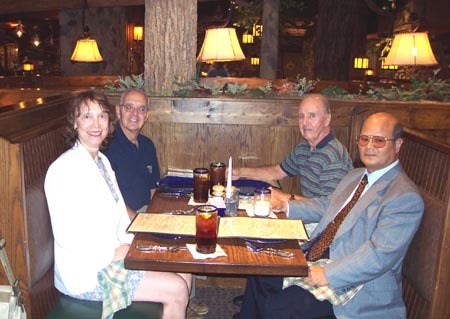 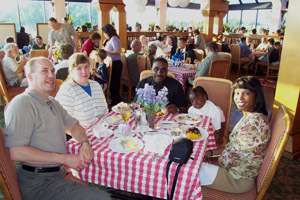 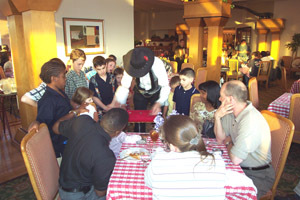 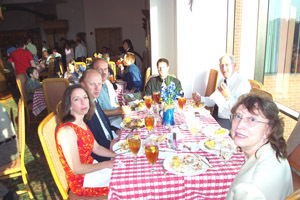 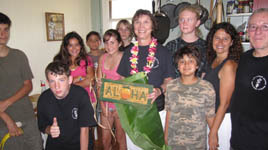 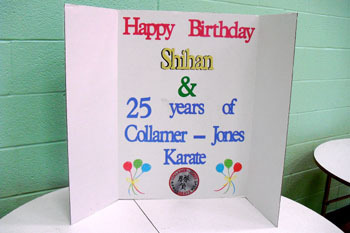 On February 26, 2011, The Collamer-Jones & Gillam Grant Students surprised me (Shihan Cyndy Jones) with with a major celebration. 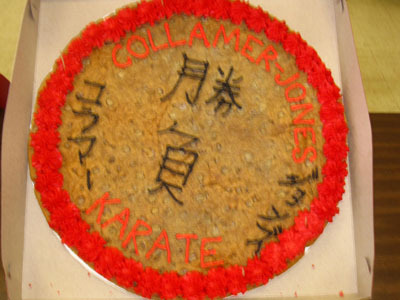 It was my 70th Birthday and also marked 25 years of Collamer-Jones Karate (picture 1). 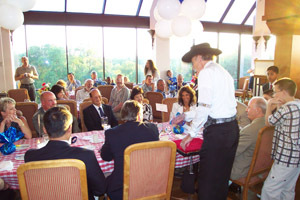 I was very appreciative and grateful for the friendship and work that went into the planning and excution of this party. 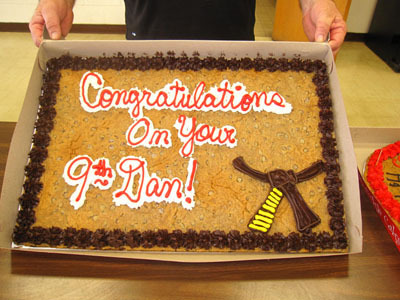 I was truly surprised. 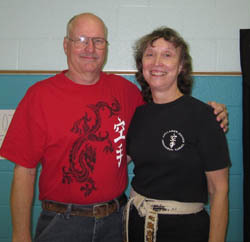 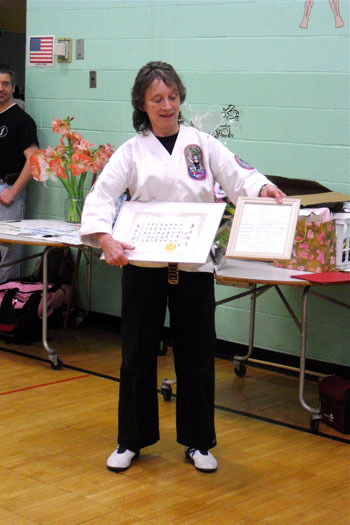 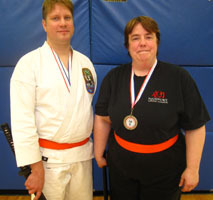 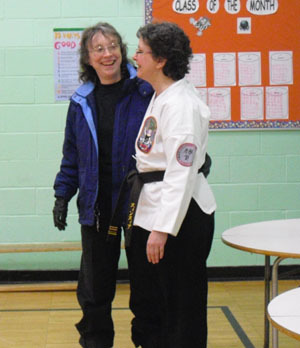 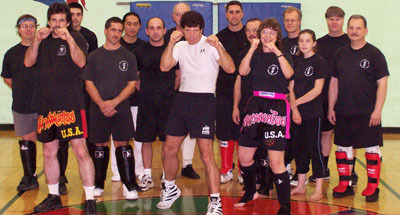 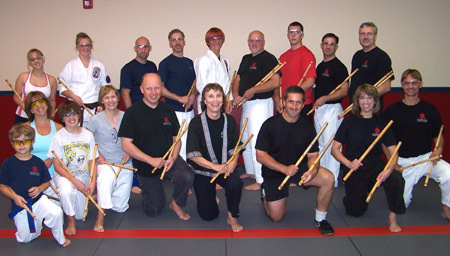 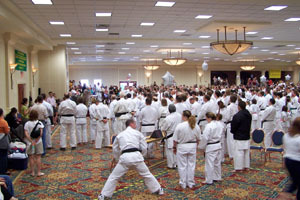 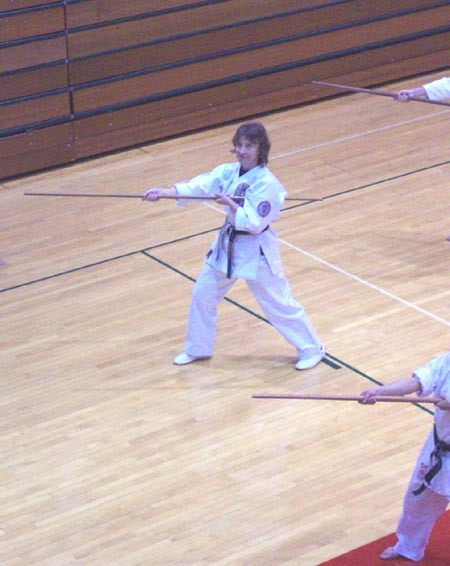 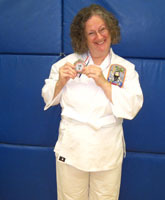 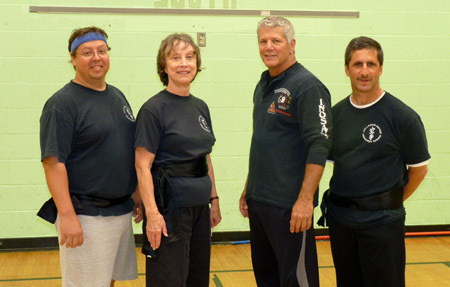 Much of the event was organized by Sensei Cynthia Smith (picture 2). 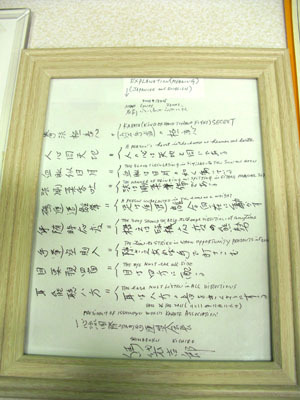 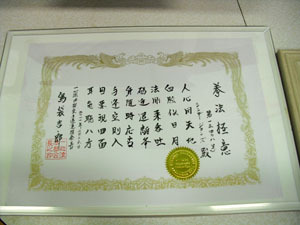 Master Shimabuku sent a gift along with a beautiful Kanji script and letter explanting the Isshin Ryu Code (Pictures 3, 4 & 5). 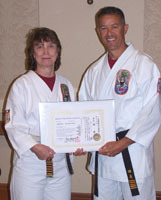 The director of the Gillam Grant Center Peggy Swapcienski presented a certificate and flowers (picture 6). 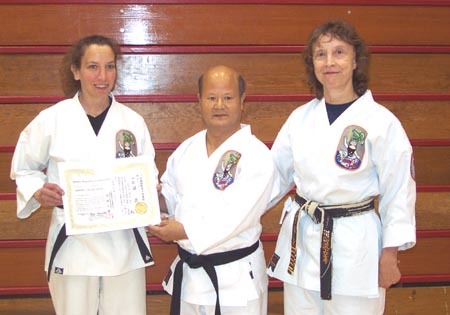 Ralph Marsocci, mayor of Bergen, presented a certificate (picture 7). 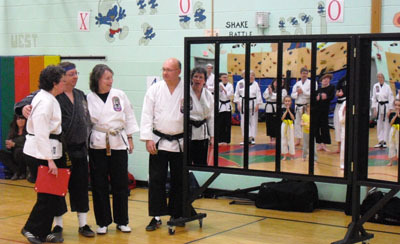 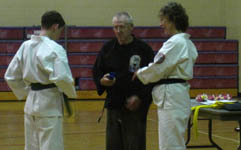 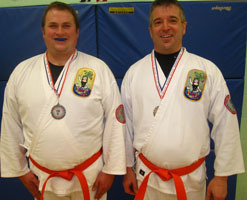 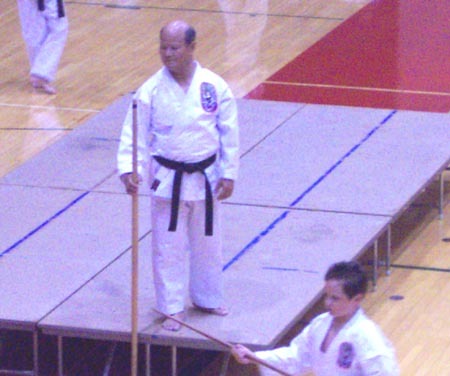 Sensei Dave Riedel and Sensei Suter made a folding panel of mirrors (which we have never had at Gillam Grant) (picture 8). 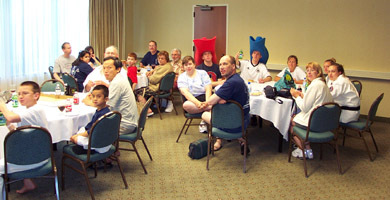 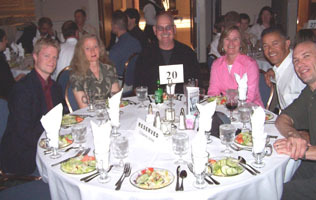 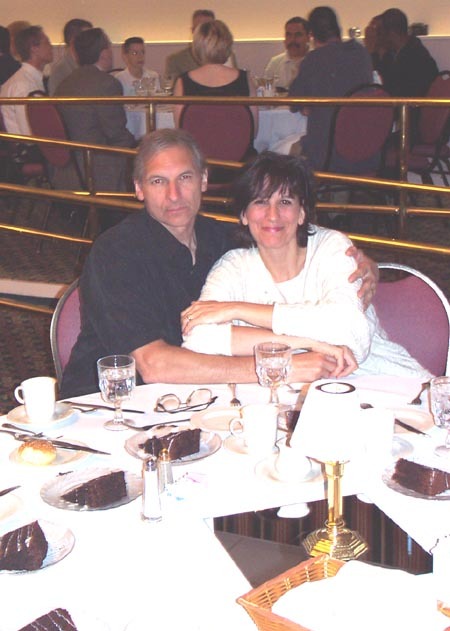 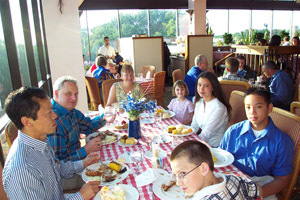 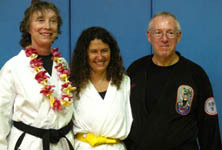 Sensei Rob Jacob compiled a video presentation and everyone enjoyed the party (pictures 9 and 10). 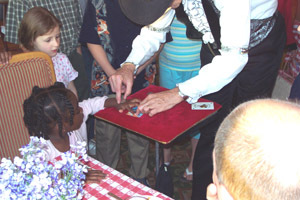 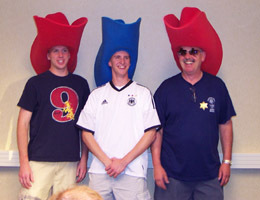 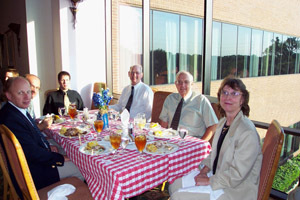 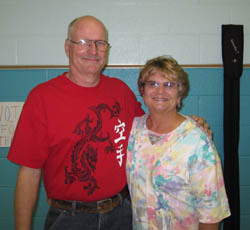 On June 19, 2010, The Collamer-Jones & Gillam Grant Students enjoyed a visit from Sensei Tim Gersey who is recovering from heart surgery. 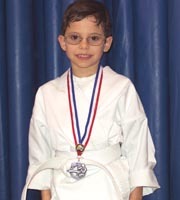 (pictures below). 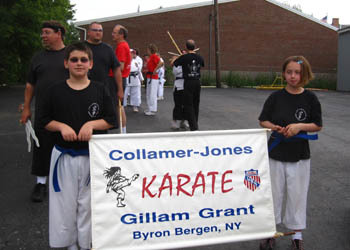 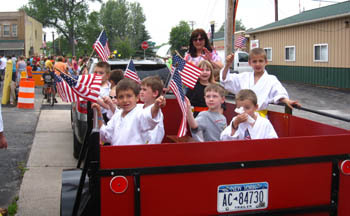 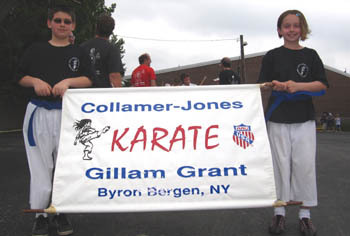 The Collamer-Jones & Gillam Grant Students took part in the Bergen Park Days Parade on June 12, 2010. 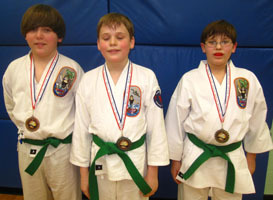 (pictures below). 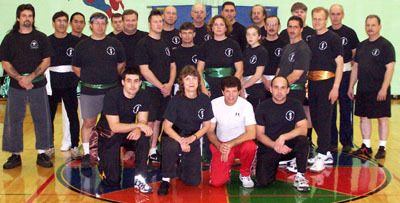 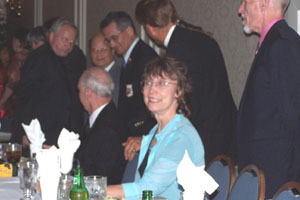 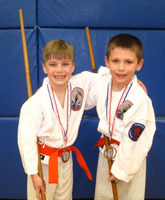 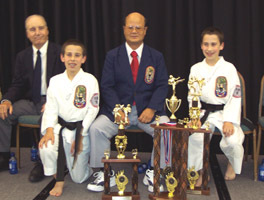 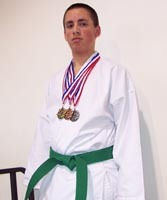 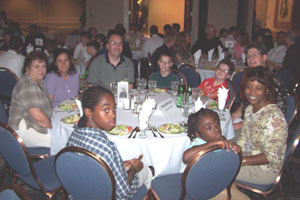 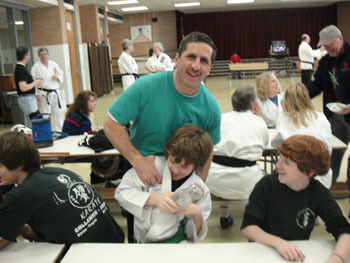 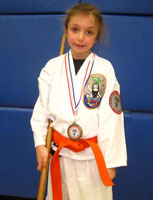 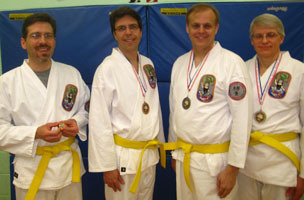 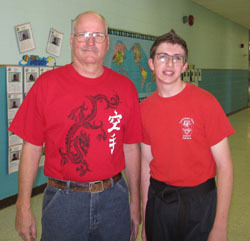 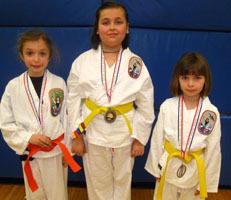 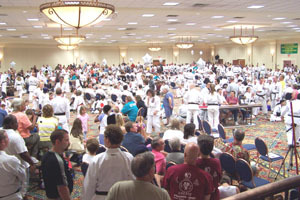 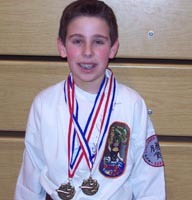 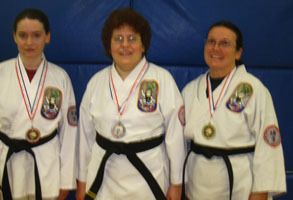 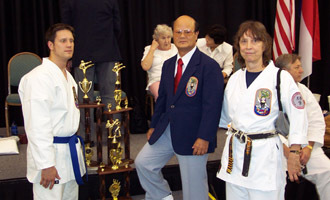 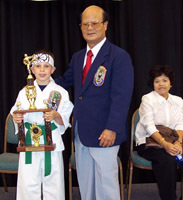 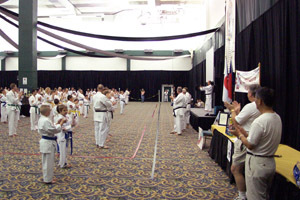 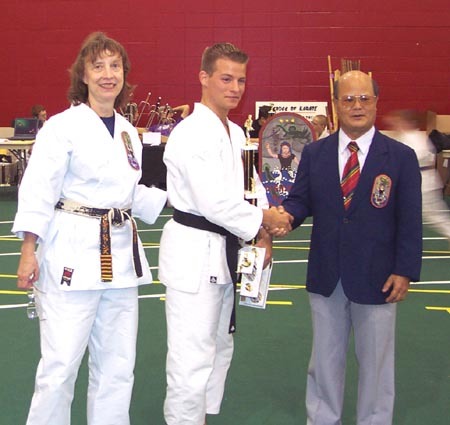 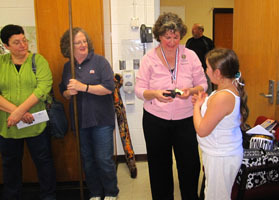 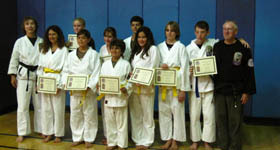 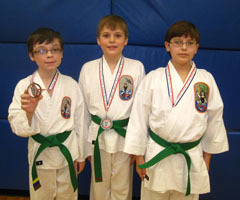 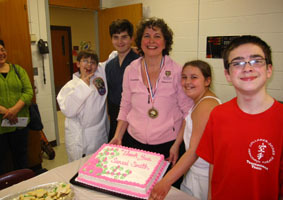 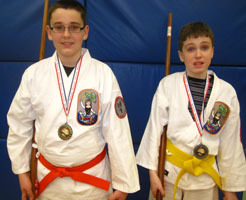 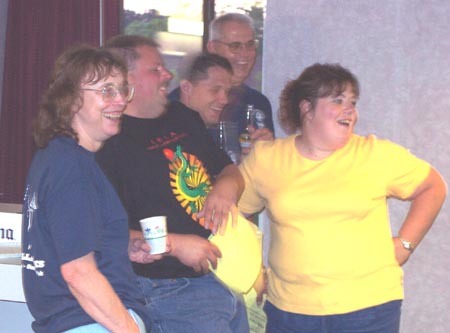 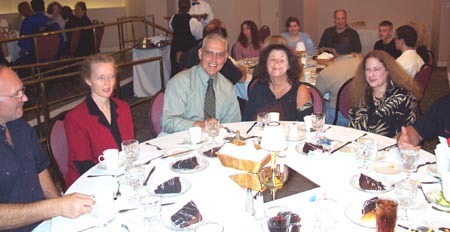 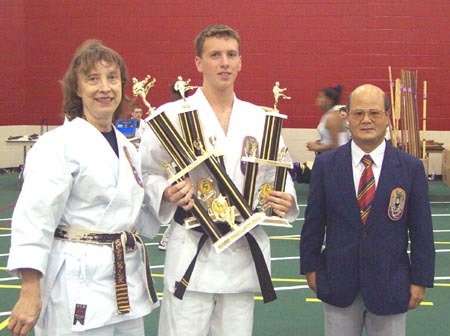 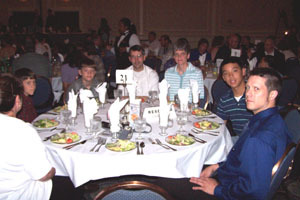 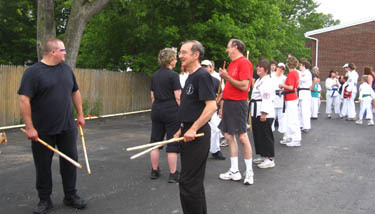 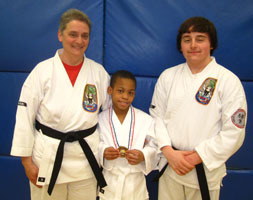 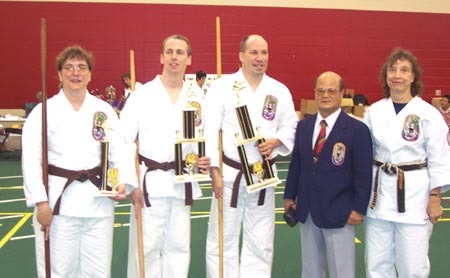 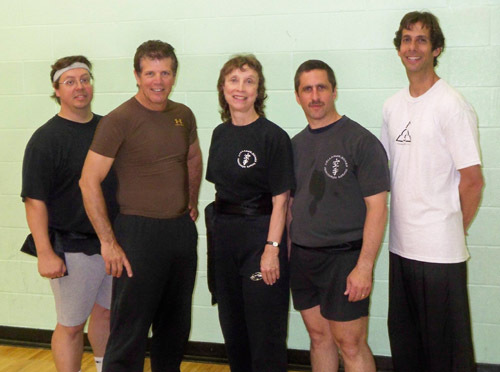 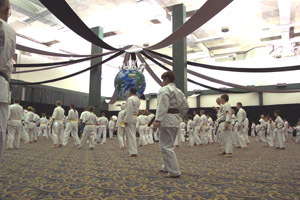 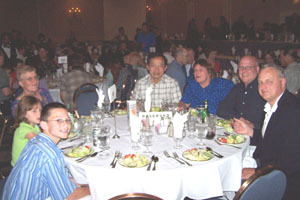 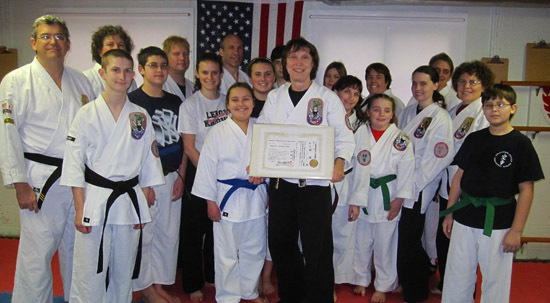 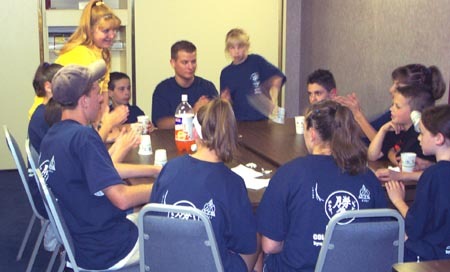 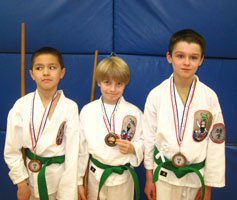 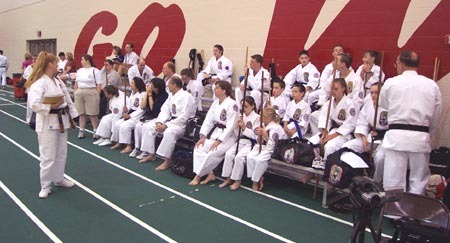 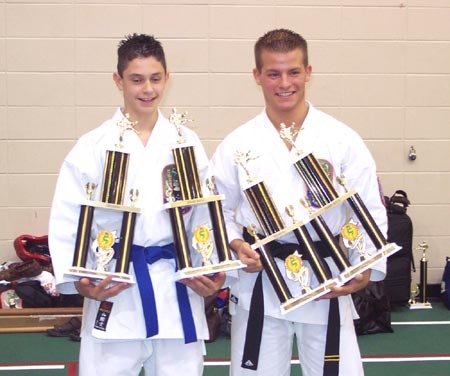 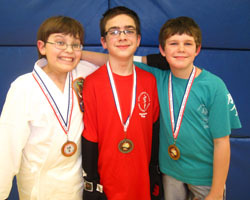 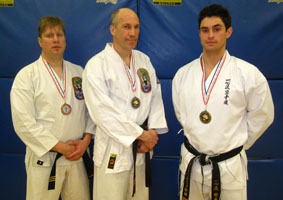 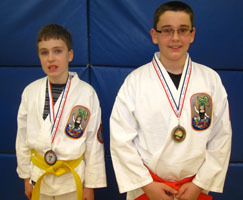 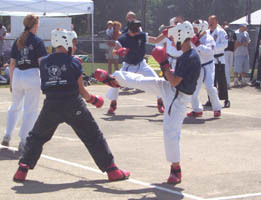 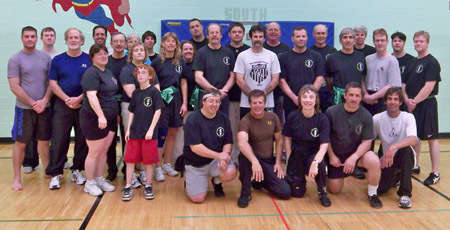 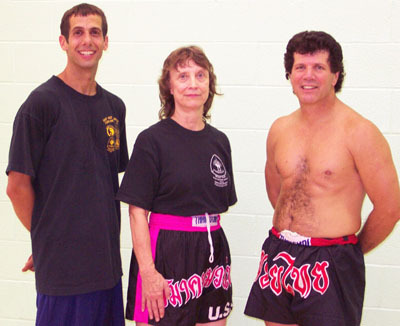 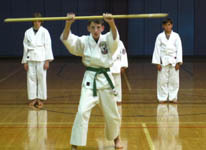 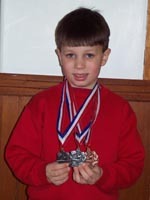 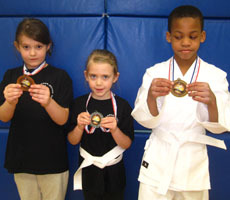 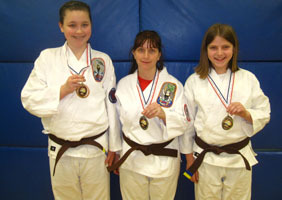 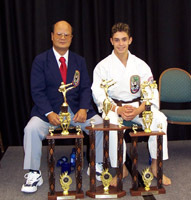 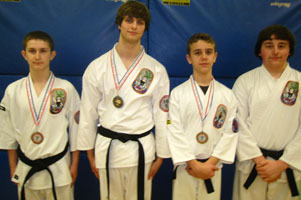 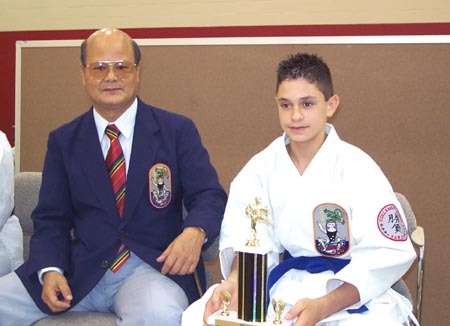 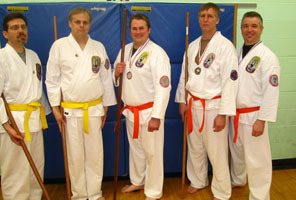 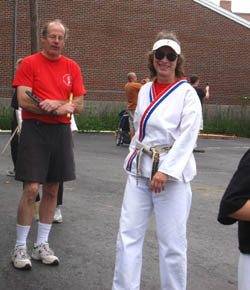 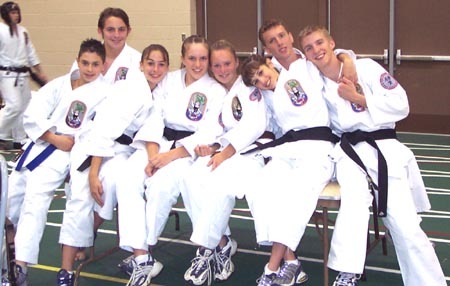 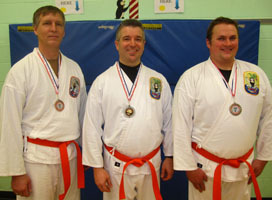 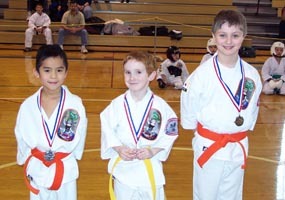 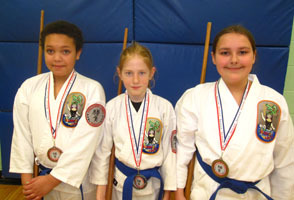 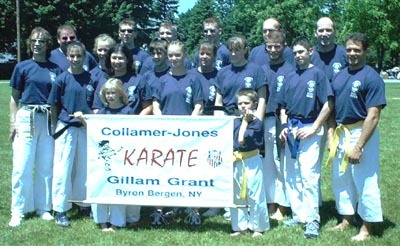 The Collamer-Jones and Fairport Karate Teams attended the 2009 IWKA Championships in Pittsburgh, Pa. on June 21, 2009. 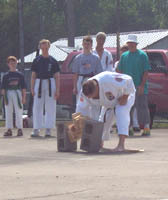 (few pictures below). 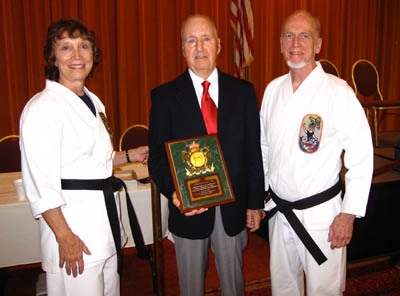 Kiyoshi-go Cyndy Jones, Hanshi William Duessel and Kiyoshi-Go Charles Wallace with the Award Master Shimabuku sent to Hanshi Duessel for his 50 years in Isshinryu Karate via Shihan Jones. 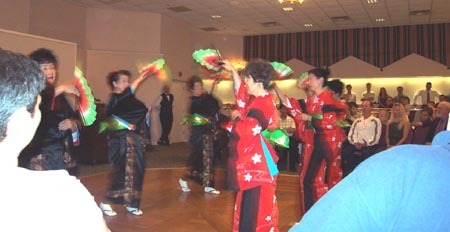 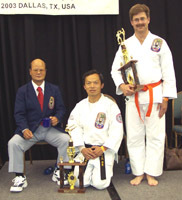 Master Shimabuku was unable to attend. 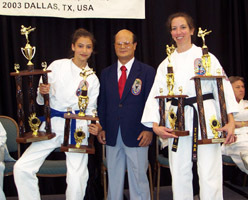 Terrie Levy (top), Tracy Householder (middle) and Brittany Rada (lower) with trophies. 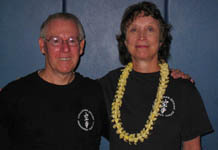 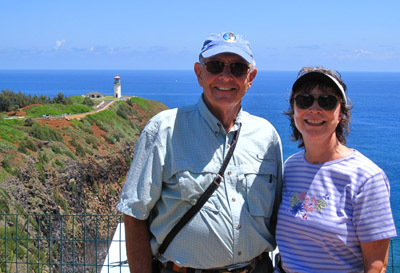 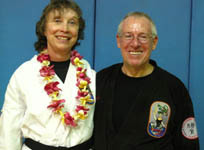 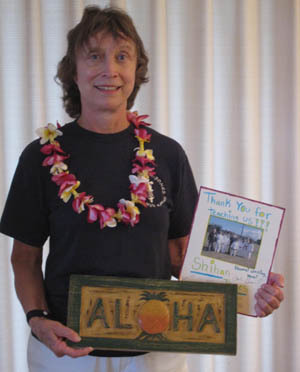 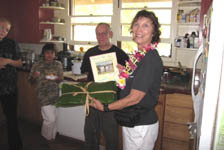 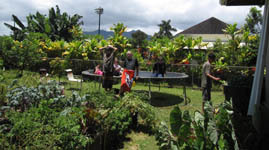 Shihan Cyndy Jones and her husband Tom visited Kauai, Hawaii May 10 through May 24, 2009. 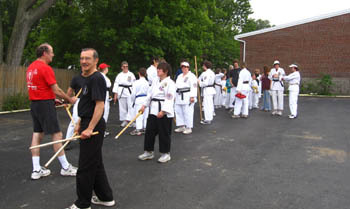 While there they visited Sensei Chuck Lehmann and conducted the first promotion tests at Sensei Lehmann's new Isshin Ryu School. 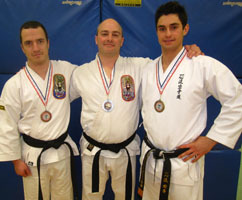 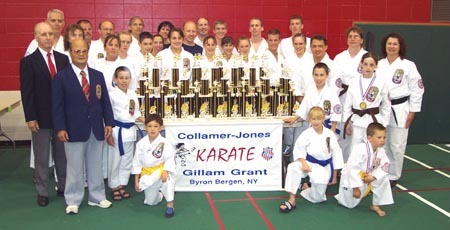 The team won 50 Mizu Gami trophies at the tournament and had a great time. 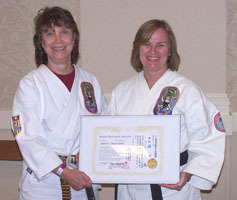 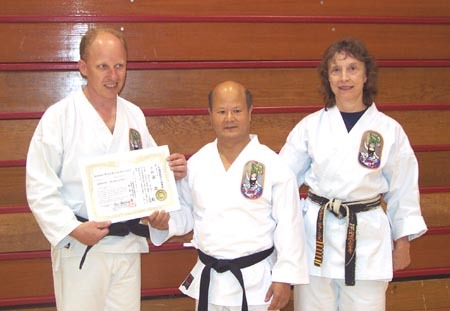 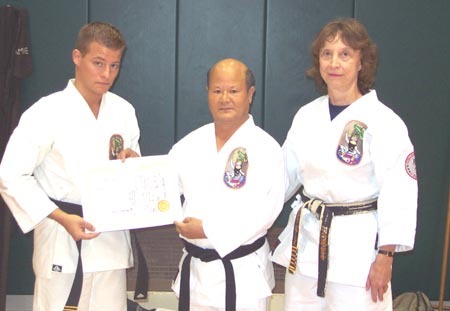 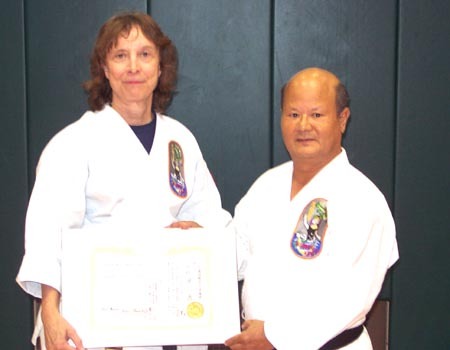 Master Shimabuku presented Shihan Jones with Kiyoshi-Go certificate. 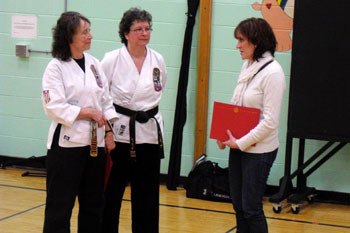 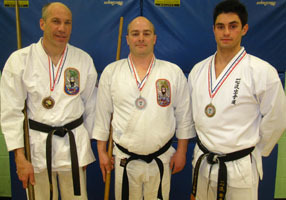 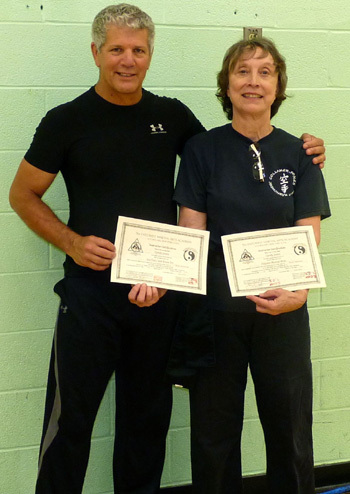 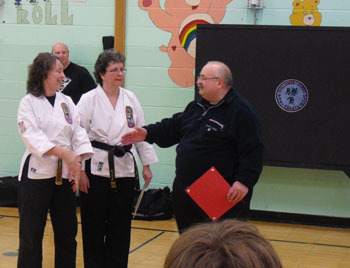 Shihan Jones presented Sensei(s) Andrea and Juan Rodriguez with their Go-Dan certificates. 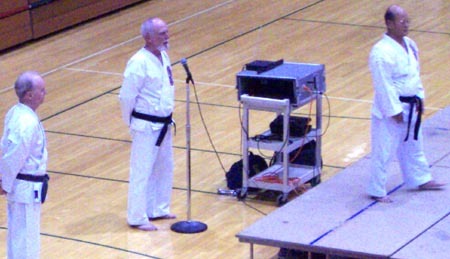 Sensei Kohler has a great IWKA slide show with some 80 pictures at this address: www.picturetrail.com go to album: ann2860 and click on IWKA 2003. 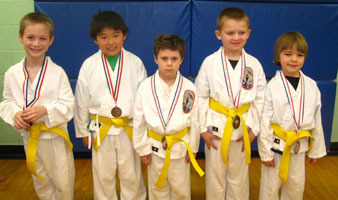 The new Kodak Dojo in building 205 is up and running under Sensei Pam O'Brien. 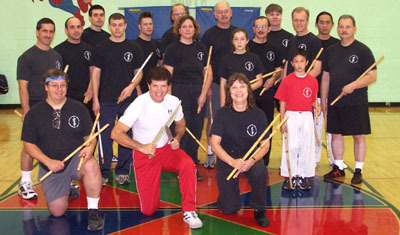 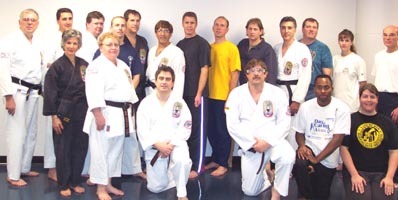 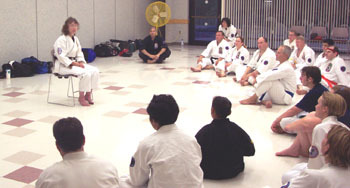 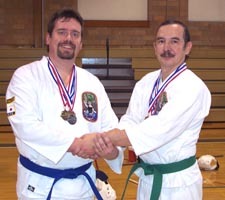 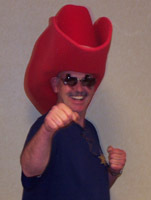 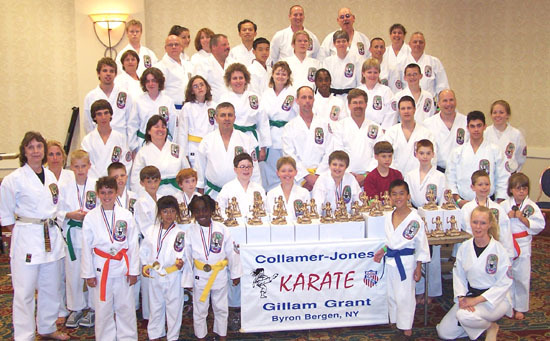 Shihan Jones visited the group on 11/7/01. 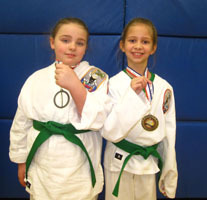 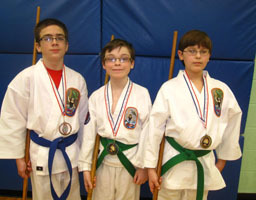 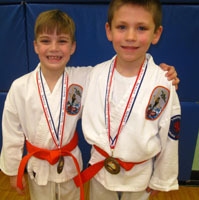 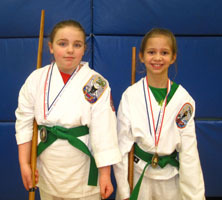 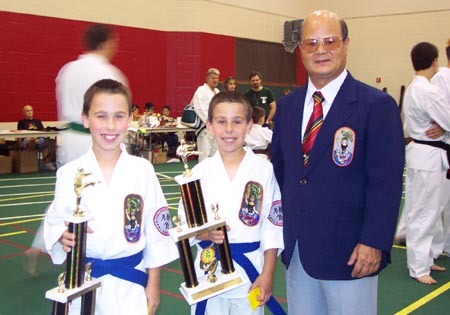 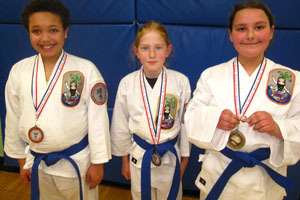 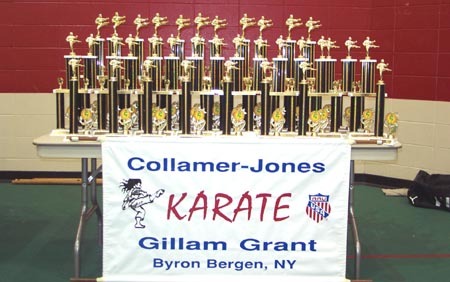 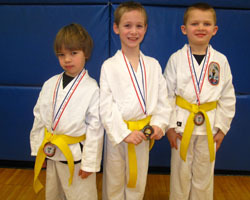 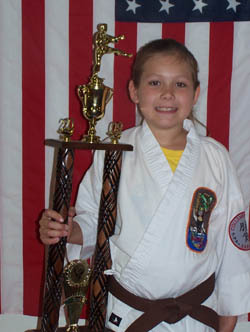 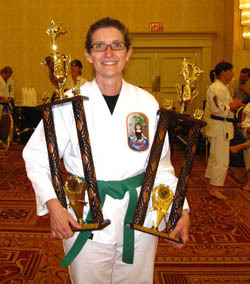 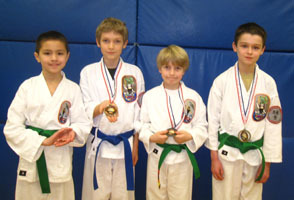 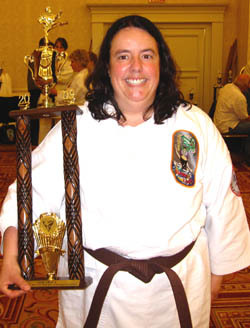 The Collamer-Jones Karate Team won 37 trophies at the IWKA Tournament held on June 23 in Indianapolis. 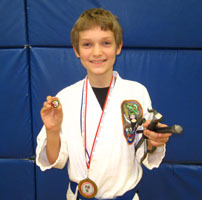 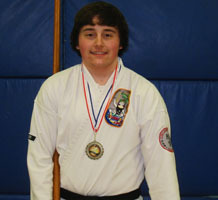 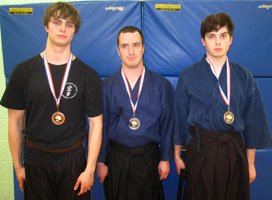 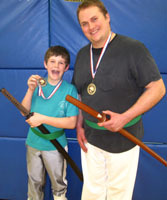 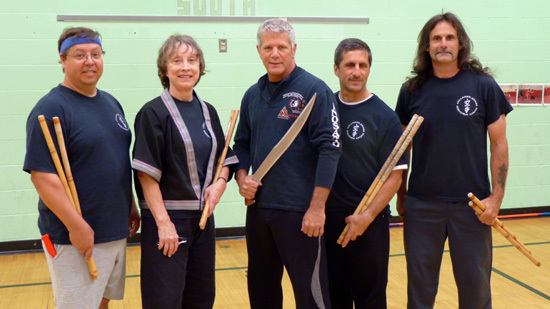 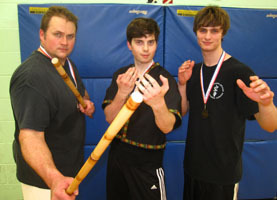 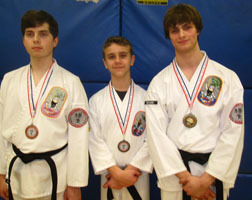 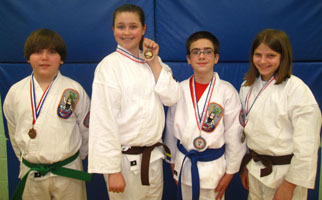 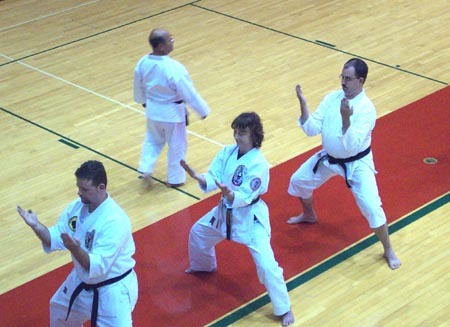 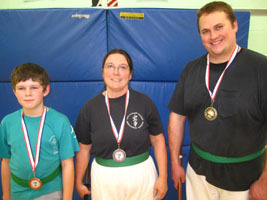 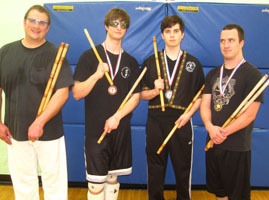 Weapons Kata Results: First place winners were Nicholas Adams, Alana Armstrong, Rob Jacob, and Valerie Kuykendall. 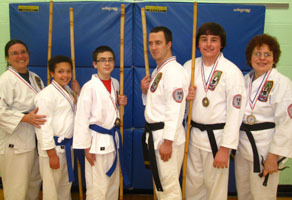 Second places went to Dan Adams, Russell Adams, Alyssa Armstrong, Laura Armstrong, Vincent Lanzalaco, Jamie Suter and Jeremy Walker. 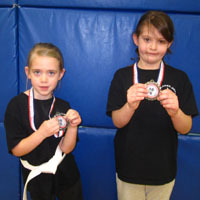 Third places went to Amy Kohler and Cynthia Smith. 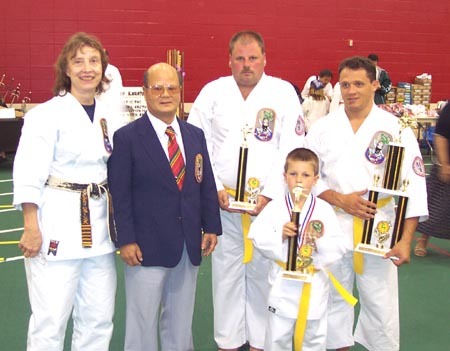 Kata Results: First place winners were Nicholas Adams, Alana Armstrong, Phil Fiacco, Rob Jacob, Michael Sananikone, and Micah Sanders. 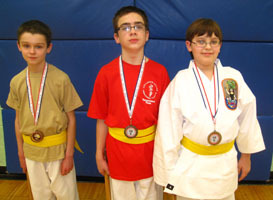 Second places went to Dan Adams, Alyssa Armstrong, Vincent Lanzalaco, Jamie Suter and Jeremy Walker. 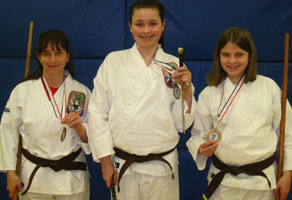 Third places went to Alexa Armstrong, Amy Kohler, and Dylan Bates. 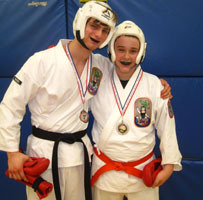 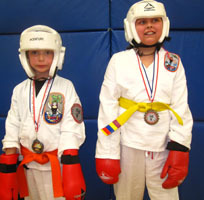 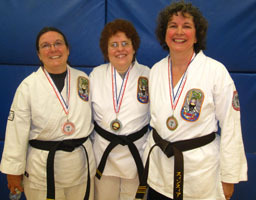 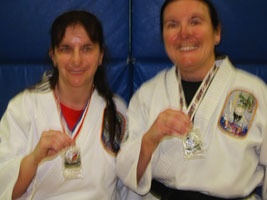 Sparring Results: First place winners were Amy Kohler and Jamie Suter. 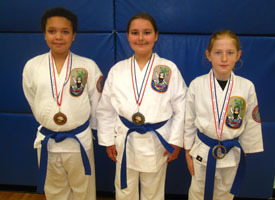 Second places went to Nicholas Adams, Alyssa Armstrong, and Cynthia Smith. 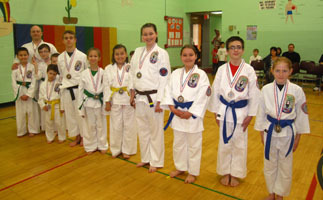 Third places went to Russell Adams, Alexa Armstrong, Dean Bates, Rob Jacob, and Ann Kohler. 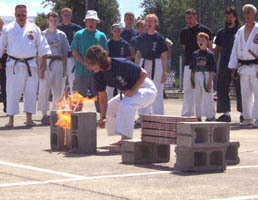 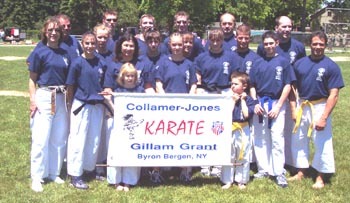 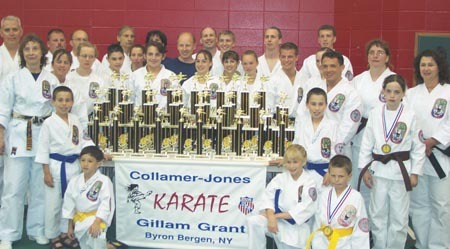 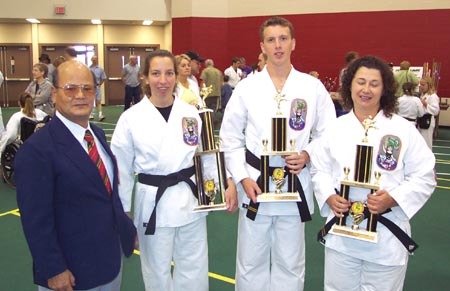 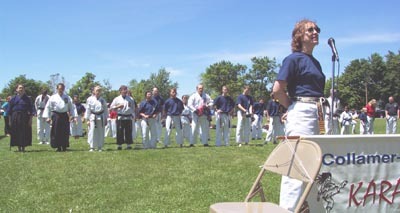 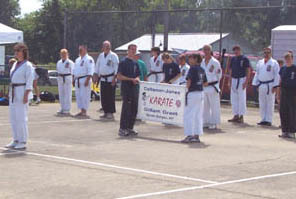 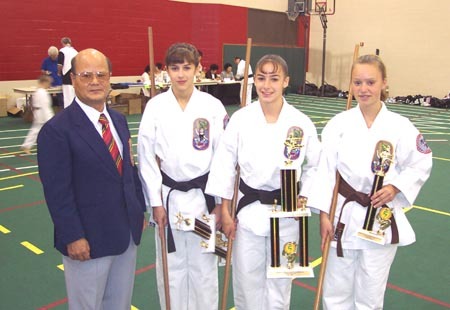 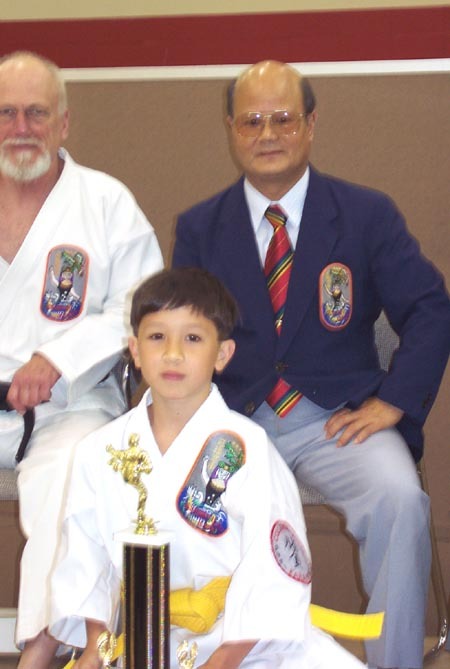 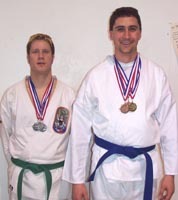 Collamer-Jones Karate (Gillam Grant Karate) including the members of 2001 IWKA Tournament Team performed at Bergen Park Days on June 9, 2001. 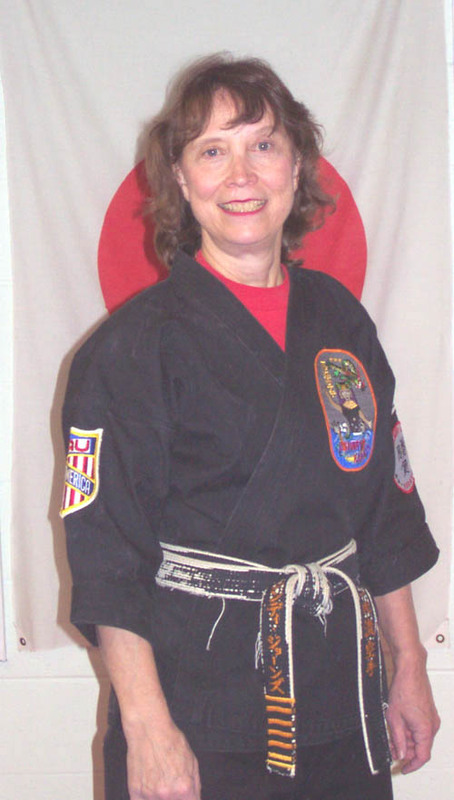 From IWKA Headquarters in Okinawa: On April 12, 2001 Sensei Cyndy Jones received a letter from Grand Master O'Sensei Kichiro Shimabuku dated 3/6/01 congratulating her on her promotion to ShiChi Dan (7th Degree Black Belt). 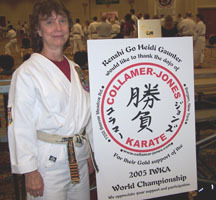 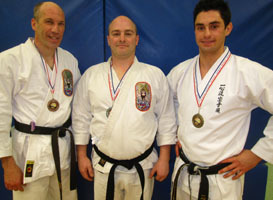 This is a great honor for Sensei Jones and Collamer-Jones Karate. 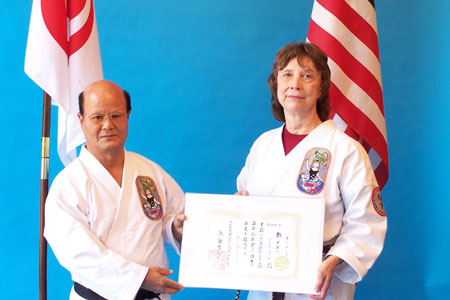 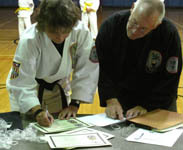 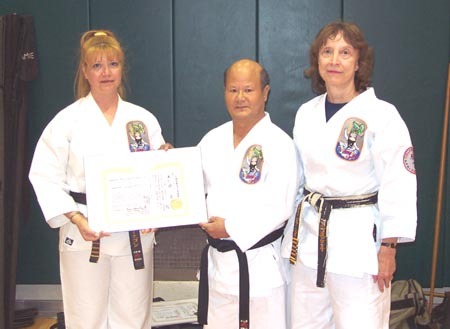 In another letter dated 8/1/01 Master Shimabuku changed her title from Sensei to Shihan.